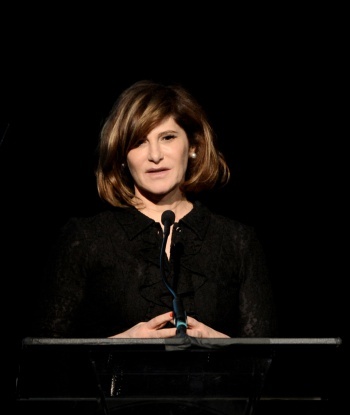 Amy Pascal, one of the film industry's top female executives, is resigning from her position as Sony Pictures Entertainment co-chair. Did you think the whole Sony hacking scandal was finished now that The Interview got its digital, non-theatrical release? Not just yet I'm afraid - the ramifications are still playing out months after the initial breack, and it's impacting Sony's top leaders. The most recent example is Amy Pascal, who just resigned as co-chairwoman of Sony Pictures Entertainment and chairwoman of Sony's motion picture group. Pascal has worked with Sony continuously since 1996, and was widely considered one of the film industry's top female executives. Alongside Sony Entertainment CEO Michael Lynton, Pascal oversaw all of Sony Pictures' business lines, including production, development, and distribution for film and television. Within her tenure, that included everything from Daniel Crag's James Bond career, to The Amazing Spider-Man reboot, to smaller projects like Zero Dark Thirty and The Social Network. While Pascal will no longer be continuing her role as chairwoman, she won't leave Sony entirely. Instead, Pascal will transition to a four-year production role that puts her in charge of the new Ghostbusters movie and future Amazing Spider-Man films, among other projects. "I have spent almost my entire professional life at Sony Pictures and I am energized to be starting this new chapter based at the company I call home," Pascal said in a statement. "As the slate for the next two years has come together, it felt like the right time to transition into this new role. I am so grateful to my team, some of whom I have worked with for the last 20 years and others who have joined more recently. I am leaving the studio in great hands. I am so proud of what we have all done together and I look forward to a whole lot more." Pascal also faced personal controversy in the wake of the Sony hack. Among the leaked emails were thousands of communications to and from Pascal, including racially-tinged comments about President Obama's movie tastes. While she quickly apologized for the emails, it was still one more black eye for Sony during a surprisingly tumultuous time. Pascal will be leaving her position as Sony Pictures co-chair this May. A successor has yet to be named.